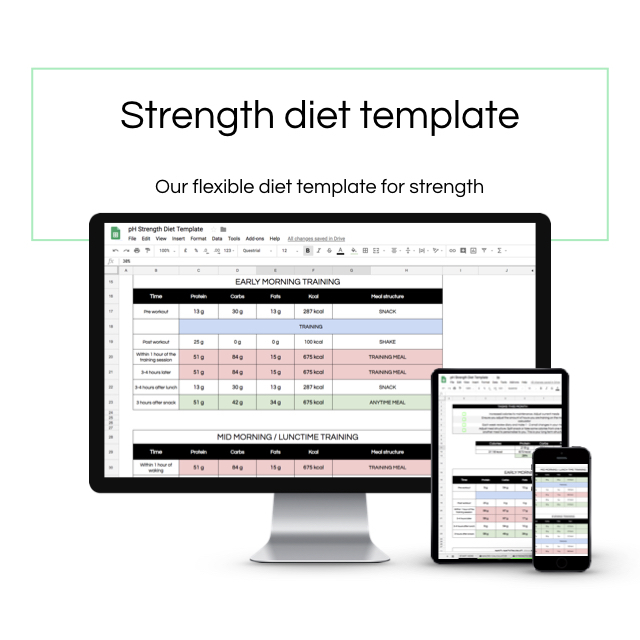 We have designed fat loss and strength diet templates to give you a clear structure of HOW MUCH, WHEN & WHAT TO EAT. Use in conjunction with the recipes on the site! Click below to make YOUR OWN COPY of the template. You only need to do this once. Watch the instructional videos to help guide you week by week. Follow the step by step instructions in the document and enjoy the process! 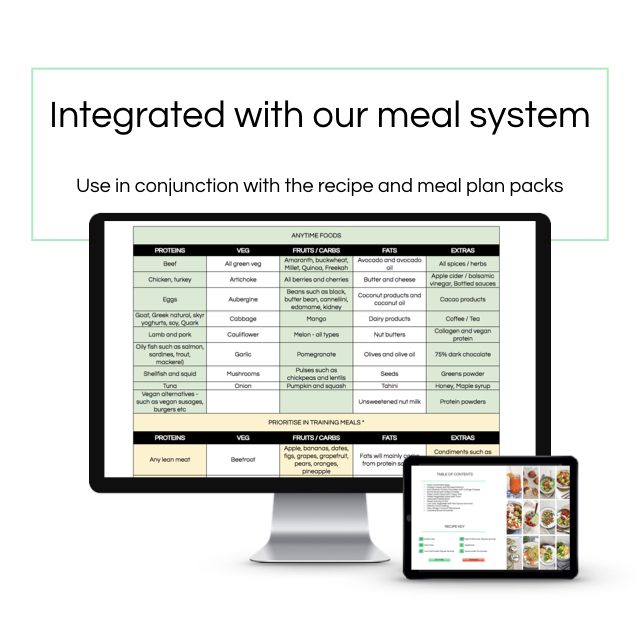 Each month we provide you with recipes and meal plans, all with MyFItnessPal barcodes to easily track your food!